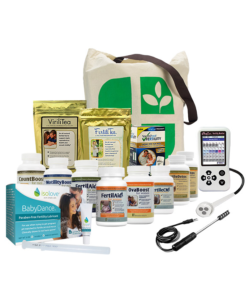 Clinical-grade fertility supplements for men and women bundled together in a convenient combo pack. 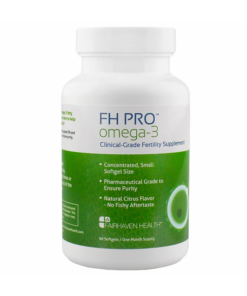 FH Pro offers over 25 ingredients with full multivitamin and broad spectrum antioxidant support. 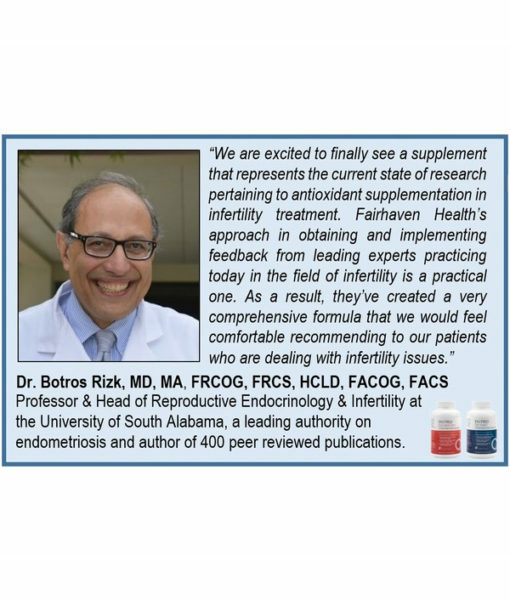 Both the male and female supplements contain clinically-validated antioxidants to support IVF, IUI, and other fertility treatments. 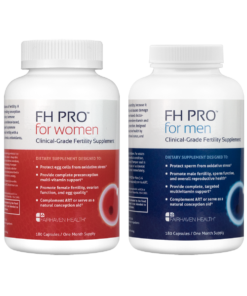 Improve Your Chances of Fertility Treatment Success with FH PRO for Women and Men! 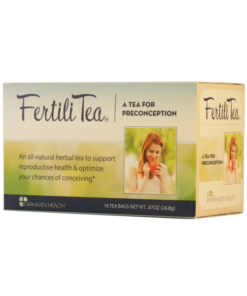 FH PRO for Women is a premium clinical-grade fertility supplement designed to promote egg quality, improve ovarian function, and enhance overall fertility in trying-to-conceive women. Based on the latest scientific research, FH PRO supplies you with a complete spectrum of proven antioxidants, including CoQ10, Vitamin E, and alpha lipoic acid, to protect your eggs against the damaging effects of oxidative stress as the result of age and environmental toxins. FH PRO for Women also contains both myo-inositol and d-chiro inositol, ingredients that have been shown to promote hormonal balance and insulin sensitivity, and to support ovarian function. 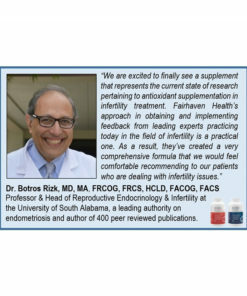 In addition, FH PRO provides comprehensive preconception vitamin and mineral support, including an optimal dose Quatrefolic™ – the most bioavailable form of folate. FH Pro is intended to complement Assisted Reproductive Technology (ART), including IVF, IUI, and other fertility treatments. However, it can be taken by all trying-to-conceive women, including those with PCOS and those of advanced maternal age. Let your fertility specialist know that you want to improve your conception odds with FH PRO for Women! 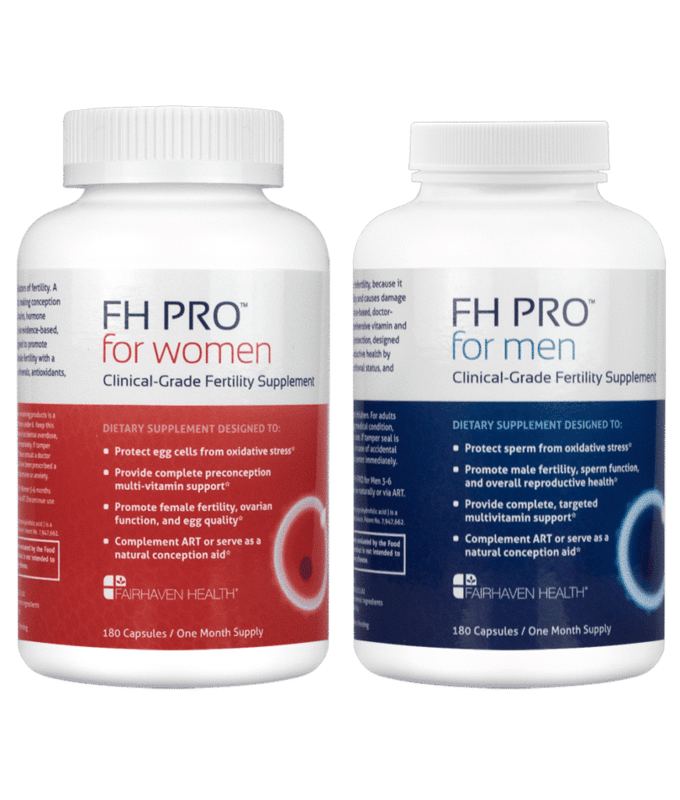 FH PRO for Men is a premium clinical-grade fertility supplement designed to promote male fertility by decreasing oxidative stress, improving sperm function, and enhancing overall nutritional status. The role of oxidative stress in male fertility has received a great deal of attention recently, and rightly so – oxidative stress leads to decreased sperm count and motility, and causes damage to sperm DNA. The comprehensive antioxidant formula in FH PRO for Men reflects the latest research in this area, and is designed to reduce the deleterious effects of oxidative stress on male reproductive health. Comprised of a proven array of vitamins, minerals, and antioxidants, FH PRO for Men is the most complete male fertility supplement on the market. FH PRO is designed to improve all major sperm parameters – count, concentration, motility, morphology, and DNA integrity. FH PRO for Men is intended to complement Assisted Reproductive Technology (ART), including IVF, IUI, and other fertility treatments. However, it can be used by all men who are actively trying-to-conceive. 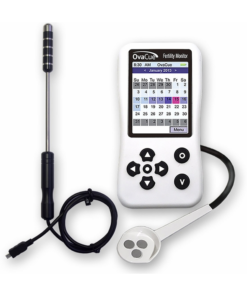 Let your fertility specialist know that you want to improve your chances of conception with FH PRO for Men! 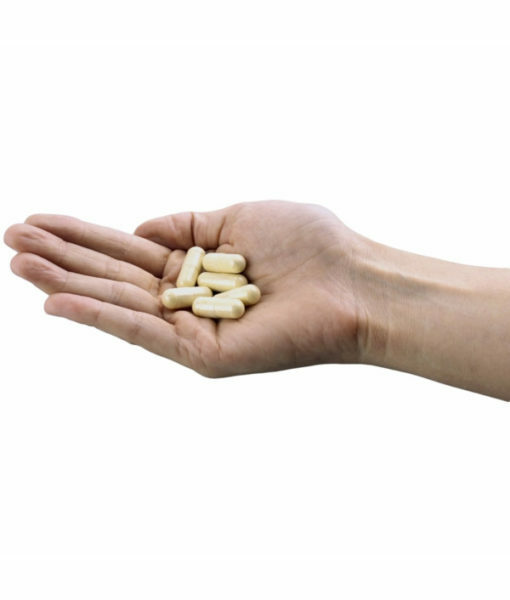 Take 6 capsules daily, or as recommended by your healthcare professional. A clinical-grade supplement designed to reduce oxidative stress, improve sperm function, and enhance male reproductive health. Specifically designed for men undergoing fertility treatments (also known as Assisted Reproductive Technologies – ART). However, it can be used by all men who are actively trying to conceive. Manufactured in the U.S. by a GMP-certified facility; guaranteed for quality and potency. Do I need a prescription from my doctor for FH PRO? No, you do not need a prescription for use. While, FH PRO is a clinical grade dietary supplement, designed to be recommended by fertility specialists as part of a specific fertility protocol, any trying to conceive couple can use the supplement to optimize their reproductive health. 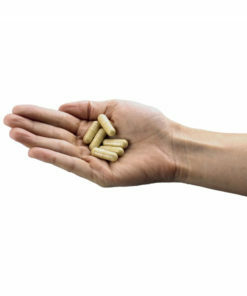 Can I use other Fairhaven Health supplements with FH PRO? Please review our Fertility Supplement Guide for feedback on which supplements can be used alongside FH Pro. Unfortunately it caused my period to be late and changed my cycle completely. Even when I stopped it and got my period I tried retaking it my period stopped again.